CINCINNATI–Researchers at the University of Cincinnati (UC) College of Medicine have discovered that cell metabolism plays an important role in the ability of cells to start a survival program called autophagy, an unwanted side effect of some anti-cancer drugs that helps some tumor cells dodge treatment and eventually regrow into new tumors. These findings, reported in the Aug. 28 online edition of the journal Cell Reports, provide new insights for ways to use cell metabolism to "pull the plug" on tumor cells that survive treatment, possibly leading to better treatments and outcomes for patients. "Cells adapt to nutrient starvation by increasing autophagy, where a cell basically eats itself and recycles cellular contents to support essential processes until nutrients become plentiful once again. This process is regulated by the mammalian target of rapamycin (mTOR) and AMP-activated protein kinases (AMPK)," says Carol Mercer, PhD, research assistant professor in the Division of Hematology Oncology, Department of Internal Medicine, and a member of both the Cincinnati Cancer Center and UC Cancer Institute. "Drugs that target mTOR or activate AMPK are being used in the clinic for some cancers, and are under active investigation for others, making it important to understand how they affect this tumor cell survival pathway." "We found that cell metabolism significantly influences the ability to begin autophagy, with mitochondrial complex I function being an important factor in the initiation, amplification and duration of the response," she continues. "We show that the anti-diabetic drug phenformin, the anti-diabetic drug metformin, and genetic defects in complex I shift cell metabolism toward glycolysis and inhibit the ability of mTOR inhibitors to prompt autophagy. The opposite is also true, as a shift away from glycolysis and toward mitochondrial metabolism, enhances autophagy through a mechanism that involves increased phospholipid metabolism. Our data demonstrate the importance of metabolism in the regulation of autophagy, increase our understanding of clinically relevant drugs that are important for cancer, and suggest new strategies to increase or inhibit autophagy." 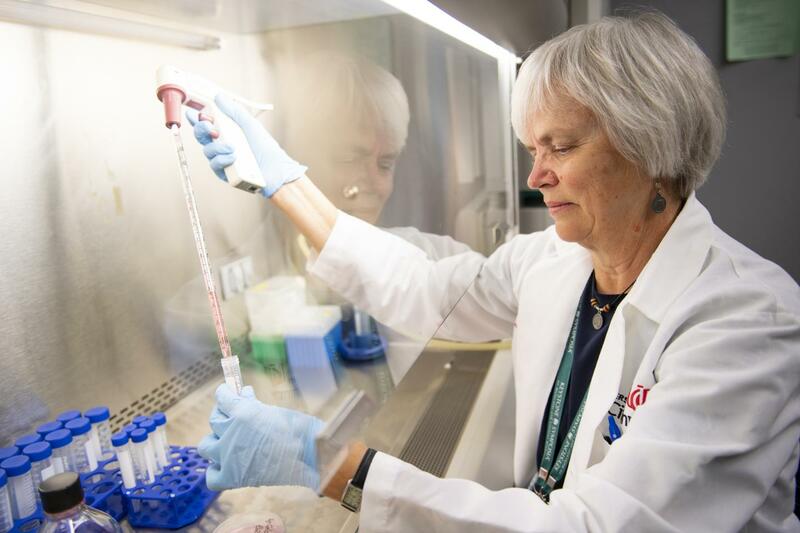 Mercer, principal investigator on the study, and her lab, worked primarily in cultured cells to understand how metabolism regulates autophagy, identifying strategies to manipulate this pathway to the patients' advantage. This work was built on pre-clinical studies in animal models by Hala Elnakat Thomas, PhD, first author and research instructor in the department, who found that the combination of mTOR inhibitors were effective in the treatment of hepatocellular carcinoma (liver cancer) but had the potential disadvantage of increasing autophagy. This work was supported by the Clinical Mass Spectrometry Core (Kenneth Setchell, director) and NMR Metabolomics Core (Lindsey Romick-Rosendale, director) at Cincinnati Children's Hospital Medical Center and was funded by the National Cancer Institute (R21CA191814) and a UC Hematology Oncology Translational Science and Pilot Grant Award. Mercer cites no conflict of interest.